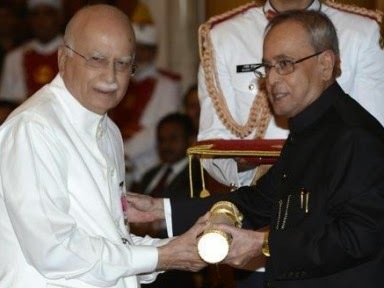 --> Pandit Madan Mohan Malviya was presented with the prestigious Bharat Ratna Award on 30 March 2015. --> The award was presented by President Pranab Mukherjee to Madan Mohan Malviya's family. --> The ceremony was held in the historic Durbar hall where many chief delegates witnessed the ceremony along with the Prime Minister Narendra Modi, Vice President Hamid Ansari, Finance Minister Arun Jaitley, Home Minister Rajnath Singh and other senior delegates. 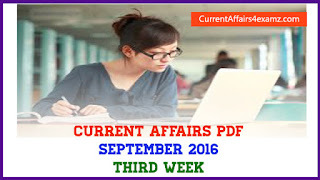 --> Pandit Madan Mohan Malviya is known for his contribution in India's education system and his role in the Indian Independence movement. --> The renowned Hockey player, Balbir Singh Senior has been honoured with a Lifetime Achievement Award at the inaugural Hockey India Annual Awards that held on 28 March 28 2015, in New Delhi. --> The 90-year-old received the trophy for Major Dhyan Chand Lifetime Achievement Award along with a cheque of 30 lakh rupees. --> Balbir Senior represented team India and was among the 16 iconic Olympians during the London Olympics in 1948. --> He played a major part in Helsinki Olympics in 1952 and Melbourne Olympics in 1956. --> Virbhadra Singh, the Chief Minister of Himachal Pradesh on 30 March 2015 launched part one of e-Vidhan Mobile app. --> The apps could be accessed by all cabinet ministers 45minutes before the question hour on android and tablets. --> It would provide information about the day's business and thematter provided on the apps could be corrected online. --> With this launch, Himachal Pradesh Vidhan Sabha became the first state assembly in the country to launch e-Vidhan Mobile app. --> Sale, purchase, storage and manufacturing of all forms of chewable tobacco including guktha and pan masala containing tobacco was banned in the national capital, Delhi from 30 March 2015. --> Delhi Government has decided to run campaigns on a large scale to educate the masses about the ban and harmful effect of chewable tobacco. --> The AAP government has issued a notification banning all products of chewable tobacco in all forms. --> Fast Patrol Vessel (FPV) named Anagh and Two Interceptor Boats named C-430 and C-417 on 29 March 2015 were commissioned into Indian Coast Guard’s Eastern Fleet. --> They were commissioned by Lieutenant General Ajay Kumar Singh (retd), Lt Governor of Puducherry in a traditional ceremony with full military honours in Chennai. --> President Pranab Mukherjee on Monday presented the Padma Awards. --> President Mukherjee presented the Bharat Ratna, Padma Vibhushan, Padma Bhushan and Padma Shri awards at a Civil Investiture Ceremony held at Rashtrapati Bhavan. --> The Padma Vibhushan awardees were: L.K. Advani, Parkash Singh Badal and Jagadguru Swami Rambhadracharya. --> The Padma Bhushan awardees were: Dr. Swapan Dasgupta, David Frawley, Bill Gates, Melinda Gates, Needamangalam Gopalaswami, Saichiro Misumi, Sudha Raghunathan, Harish Narendra Salve, Satpal, Dr. Ashok Seth, Rajat Sharma and Prof. Khadg Singh Valdiya.